Even though my kids don’t go back to school until the first of September, I know many of you have kids going back to school in August. Yes it’s definitely that time of the year again when the lazy days of summer can quickly turn into overwhelming back to school stress if we aren’t prepared for it. And by prepared I mean organized :). Fortunately these back to school strategies in four key home management areas will help. Let’s face it, parenting is hard enough but then add in everything there is to do and remember for school and it can easily throw you over the edge. Lunches, spelling words, homework, treat days, field trips, clothes, library books, spirit days, and on and on and on. Times that by multiple kids and what you have is a whirlwind of exhaustion. Thankfully I learned and implemented these strategies myself and what a difference they’ve made to my stress levels. It all comes down to simple systems and getting the kids involved. Moms you should not be doing all the work yourselves. The younger your kids are when you start these strategies, the easier it will be of course. However even if your kids are older, persevere moms. They might put up a fight at first but be strong. Change is hard however once these new habits are developed you will hit the sweet spot of success. Don’t give up! As a mom to three, two of which are in college now, I can confidently say that these back to school strategies work and have made my life so much easier over the years. Let me share with you what they are so hopefully they’ll make your life easier and much less stressed too! This section is not about you picking out each child’s clothes the night before and carefully laying them out ready for morning. For some, this idea might very well work. It never did for me. In the evening I just wanted the kids TO.GO.TO.BED.ALREADY. I didn’t want to give them one more reason to stall while they tried to decide whether or not they wanted to wear a red shirt or a blue shirt. Umm no thank you. Instead when the kids were little, I kept things simple by limiting the clothes choices the kids had to pick from and everything pretty much mixed and matched. And, this is key, their drawers only contained clothes that fit and that were in season. If it’s winter, the summer clothes need to be put away in totes or hung up in the closet. Totes may work better if you need to keep things out of sight. No one does well with too many choices, not even us adults. So pare clothing right down and store it conveniently in a drawer that the kids can access (here are some free printable drawer labels you can use). Remember you can always keep an overstock bin out of reach in the closet if you want for rotation. There are also many ideas on Pinterest for how to make Monday to Friday clothing organizers and that’s a great idea too but have some flexibility with the kids switching days around. Kids are fickle. There is often no rhyme or reason to why they wear what they do on any given day. Also does it really matter if kids pick out and wear matching clothes? In the grand scheme of things it really doesn’t. Pick your battles mommas. Now here’s where the biggest difference in stress relief is going to come from. This simplified laundry strategy was totally life changing for me. Give each kid their own laundry basket and do wash loads by child with NO sorting of colors. Yes that’s right, life is way too short for sorted laundry! There is no need for it. I wrote an entire post about my laundry system process here and it still remains a bit of a controversial subject. However, if you want to simplify life, you’ll definitely want to consider this method if you haven’t already. Not only will you not be sorting laundry but your days of sorting socks will be over too. Seriously the best! Actually the best part of doing laundry this way is how easy it is for the kids to help you and eventually take the job over. My kids were all doing their own laundry start to finish by age 12. It’s a beautiful thing! Okay school paper, ugg. There really is no end to it especially when kids are in the younger years. The method I use for long term keepsake storage has worked really well for us. It involves one tote box with file folders (one for each school year) and one larger memory tote for the bigger items. It’s so important to set limits and boundaries with all the school papers coming in. We simply cannot keep everything. As much as you may want to, as cute as it may be, do not save it all. Please check out this post on all the details of my setup. In addition to the totes for school memories, you’ll also need a system to manage school events and commitments. That’s when a family calendar is essential. Especially if your ENTIRE family does not all have access to a digital calendar. I explain why in my The #1 Reason a Family Calendar is an Absolute Must post. Go on over and see why I think so. Finally if you have invitations, schedules, forms, etc that only need to be saved temporarily, give these items a central place to call home. Don’t just let them pile up on the counter taking up valuable space. This post on managing DAILY school papers is a good one to read with different suggestions that might work for your family. Put your hand up if you love making kid’s lunches? Nope not me. But what if I told you that you didn’t have to? What if I told you there was someone else who could make those school lunches for you? Well there is and they are perfectly capable…your kids, that’s who!! Yes they need a little guidance in the early years but this is another instance where you can eventually work yourself out of a job. I would say by age 7 or 8 my kids were making their lunches for school on their own. I would check the lunch bags when they were done in the early years. They of course were given parameters about what they could pack. For instance, a sandwich/crackers & cheese/wraps/leftovers, one or two treats, (at least) one fruit and (at least) one veggie. When the kids were younger we kept a lunch making bin in both the fridge and the pantry that could easily be pulled out with all the necessities. Keep this great lunchbox helper free printable on your fridge where the kids can easily see it and use. Getting dinner on the table each night is another huge stress contributor for parents. With the craziness that is after school, we don’t need dinner adding to the chaos and tiredness of the day. You know I couldn’t do a post about saving your sanity without talking about menu planning. Don’t tune me out yet! I have to mention it because it’s that important. Many people think it’s just one more thing on a long to-do list but honestly its impact is HUGE. Taking 20 minutes at the beginning of each week to pick out some simple easy to make recipes will eliminate the stress that comes with not knowing what you’ll eat each night. The trick is to KEEP IT SIMPLE. Check out my Pinterest Boards for quick and easy recipe ideas. 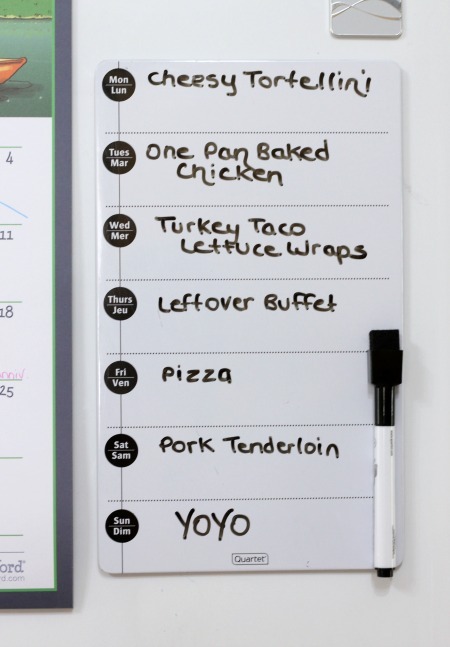 I picked up the magnetic menu planner you see above at Walmart but you can also print off this free menu planner printable if you’d like. Also I have recommended the Plan to Eat menu planning app for years. It’s so easy to use to quickly plan your meals for the week (even on the go) and I have an easy tutorial to follow if you want to check it out. I hope you will try out these back to school strategies in your own home. Don’t be scared by all the information I’ve given here. 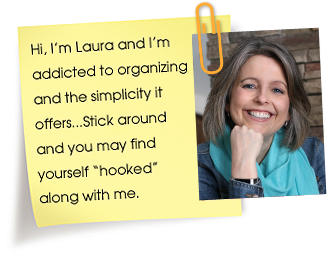 Try one simplified system at a time and see if it will work for you and your family. You got this girl!! Let me know if you have any questions, I’d be happy to help! 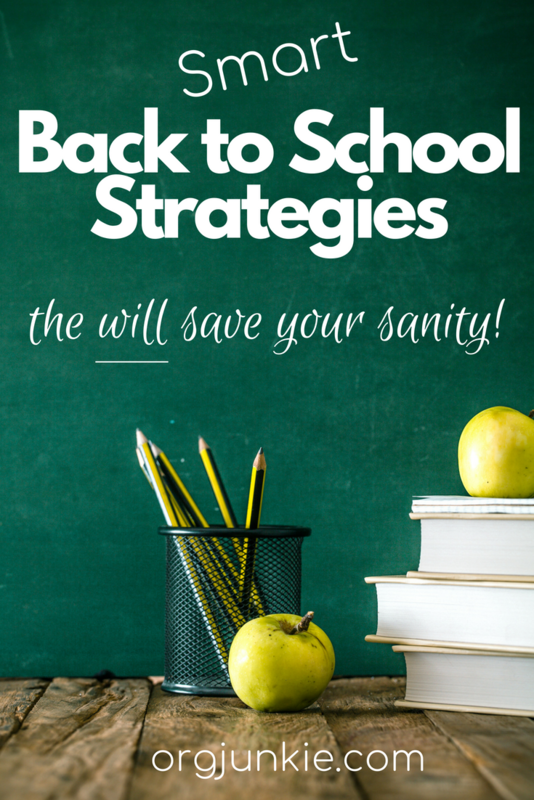 One Response to Smart Back to School Strategies That Will Save Your Sanity!